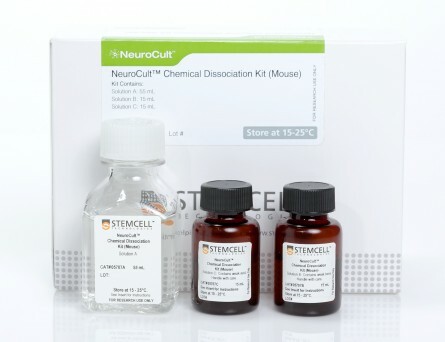 NeuroCult™ Enzymatic Dissociation Kit for Adult CNS Tissue (Mouse and Rat) is recommended for the enzymatic digestion and dissociation of adult mouse and rat central nervous system (CNS) tissue. 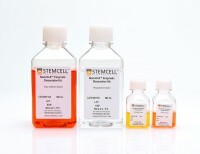 NeuroCult™ Enzymatic Dissociation Kit has been optimized so that the entire procedure is reproducible, fast, and yields high cell numbers and viabilities. The resulting single-cell suspension is ready for immediate use in downstream applications. Transplantation of Fas-deficient or wild-type neural stem/progenitor cells (NPCs) is equally efficient in treating experimental autoimmune encephalomyelitis (EAE). Studies have shown that neural stem/progenitor cell (NPC) transplantation is beneficial in experimental autoimmune encephalomyelitis (EAE), an established animal model of multiple sclerosis (MS). It is unclear whether NPCs have the ability to integrate into the host CNS to replace lost cells or if their main mechanism of action is via bystander immunomodulation. Understanding the mechanisms by which NPCs exert their beneficial effects as well as exploring methods to increase post-transplantation survival and differentiation is critical to advancing this treatment strategy. Using the EAE model and Fas-deficient (lpr) NPCs, we investigated the effects of altering the Fas system in NPC transplantation therapy. We show that transplantation of NPCs into EAE mice ameliorates clinical symptoms with greater efficacy than sham treatments regardless of cell type (wt or lpr). NPC transplantation via retro-orbital injections significantly decreased inflammatory infiltrates at the acute time point, with a similar trend at the chronic time point. Both wt and lpr NPCs injected into mice with EAE were able to home to sites of CNS inflammation in the periventricular brain and lumbar spinal cord. Both wt and lpr NPCs have the same capacity for inducing apoptosis of Th1 and Th17 cells, and minimal numbers of NPCs entered the CNS. These cells did not express terminal differentiation markers, suggesting that NPCs exert their effects mainly via bystander peripheral immunomodulation. Methods to culture, differentiate, and characterize neural stem cells from the adult and embryonic mouse central nervous system. 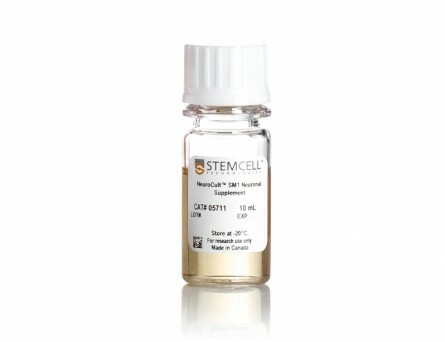 Since the discovery of neural stem cells (NSC) in the embryonic and adult mammalian central nervous system (CNS), there have been a growing numbers of tissue culture media and protocols to study and functionally characterize NSCs and its progeny in vitro. 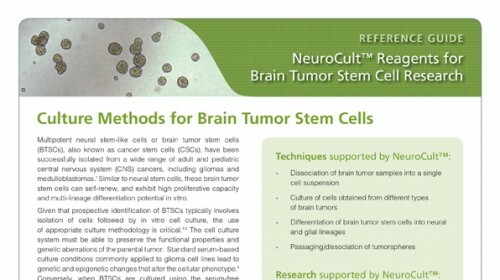 One of these culture systems introduced in 1992 is referred to as the Neurosphere Assay, and it has been widely used to isolate, expand, differentiate and even quantify NSC populations. 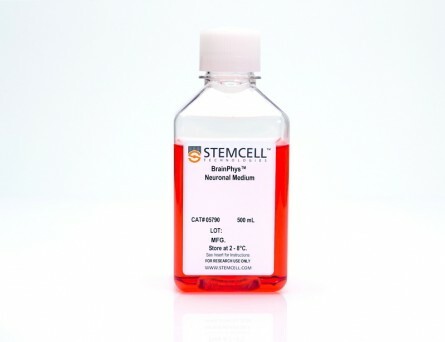 Several years later because its application as a quantitative in vitro assay for measuring NSC frequency was limited, a new single-step semisolid based assay, the Neural Colony Forming Cell (NCFC) assay was developed to accurately measure NSC numbers. 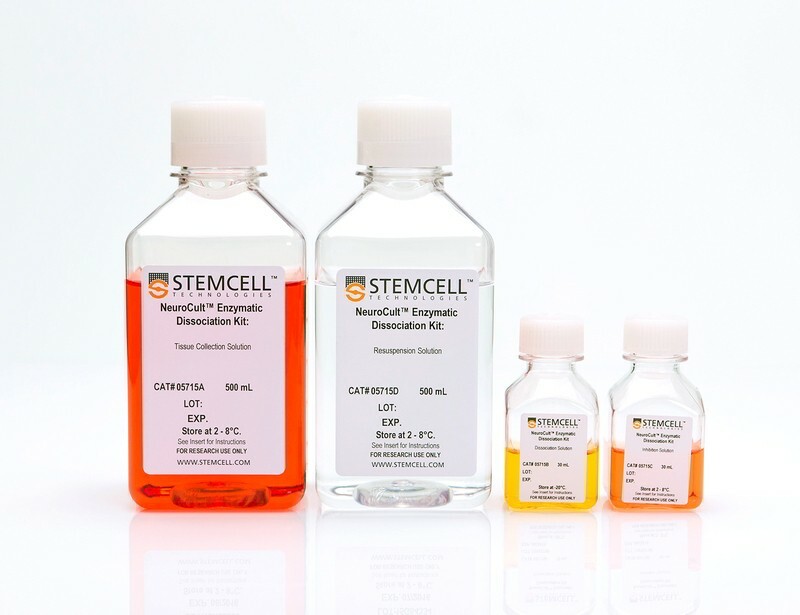 The NCFC assay allows the discrimination between NSCs and progenitors by the size of colonies they produce (i.e., their proliferative potential). 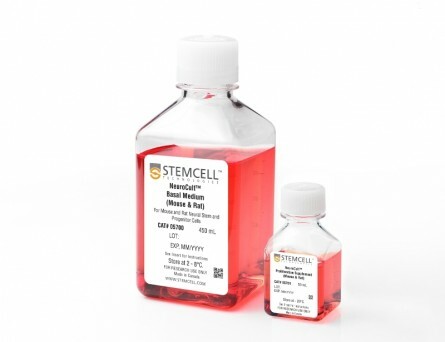 The evolution and continued improvements made to these tissue culture tools will facilitate further advances in the promising application of NSCs for therapeutic use. 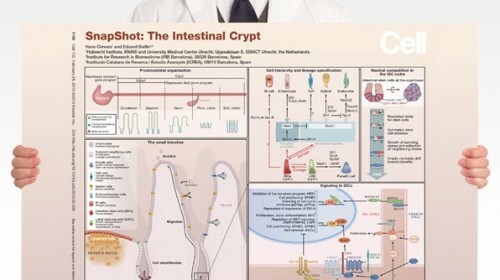 Nestin-expressing cells in the gut give rise to enteric neurons and glial cells. 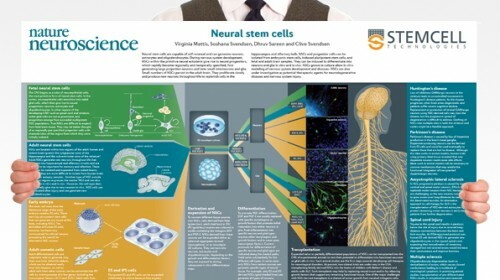 BACKGROUND Neuronal stem cells (NSCs) are promising for neurointestinal disease therapy. Although NSCs have been isolated from intestinal musclularis, their presence in mucosa has not been well described. Mucosa-derived NSCs are accessible endoscopically and could be used autologously. Brain-derived Nestin-positive NSCs are important in endogenous repair and plasticity. The aim was to isolate and characterize mucosa-derived NSCs, determine their relationship to Nestin-expressing cells and to demonstrate their capacity to produce neuroglial networks in vitro and in vivo. 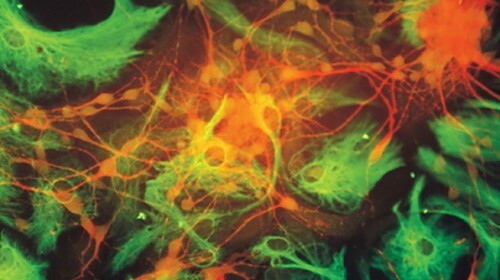 METHODS Neurospheres were generated from periventricular brain, colonic muscularis (Musc), and mucosa-submucosa (MSM) of mice expressing green fluorescent protein (GFP) controlled by the Nestin promoter (Nestin-GFP). Neuronal stem cells were also grown as adherent colonies from intestinal mucosal organoids. Their differentiation potential was assessed using immunohistochemistry using glial and neuronal markers. Brain and gut-derived neurospheres were transplanted into explants of chick embryonic aneural hindgut to determine their fate. KEY RESULTS Musc- and MSM-derived neurospheres expressed Nestin and gave rise to cells of neuronal, glial, and mesenchymal lineage. Although Nestin expression in tissue was mostly limited to glia co-labelled with glial fibrillary acid protein (GFAP), neurosphere-derived neurons and glia both expressed Nestin in vitro, suggesting that Nestin+/GFAP+ glial cells may give rise to new neurons. Moreover, following transplantation into aneural colon, brain- and gut-derived NSCs were able to differentiate into neurons. 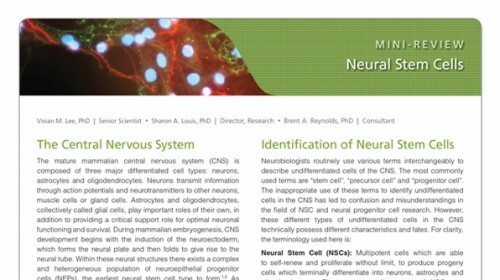 CONCLUSIONS & INFERENCES Nestin-expressing intestinal NSCs cells give rise to neurospheres, differentiate into neuronal, glial, and mesenchymal lineages in vitro, generate neurons in vivo and can be isolated from mucosa. Further studies are needed for exploring their potential for treating neuropathies. Reversing brain degeneration and trauma lesions will depend on cell therapy. Our previous work identified neural precursor cells derived from the skeletal muscle of Nestin-GFP transgenic mice, but their identity, origin, and potential survival in the brain are only vaguely understood. In this work, we show that Nestin-GFP+ progenitor cells share morphological and molecular markers with NG2-glia, including NG2, PDGFRα, O4, NGF receptor (p75), glutamate receptor-1(AMPA), and A2B5 expression. Although these cells exhibit NG2, they do not express other pericyte markers, such as α-SMA or connexin-43, and do not differentiate into the muscle lineage. Patch-clamp studies displayed outward potassium currents, probably carried through Kir6.1 channels. Given their potential therapeutic application, we compared their abundance in tissues and concluded that skeletal muscle is the richest source of predifferentiated neural precursor cells. We found that these cells migrate toward the neurogenic subventricular zone displaying their typical morphology and nestin-GFP expression two weeks after brain injection. For translational purposes, we sought to identify these neural progenitor cells in wild-type species by developing a DsRed expression vector under Nestin-Intron II control. This approach revealed them in nonhuman primates and aging rodents throughout the lifespan. Cockayne syndrome b maintains neural precursor function. Neurodevelopmental defects are observed in the hereditary disorder Cockayne syndrome (CS). The gene most frequently mutated in CS, Cockayne Syndrome B (CSB), is required for the repair of bulky DNA adducts in transcribed genes during transcription-coupled nucleotide excision repair. CSB also plays a role in chromatin remodeling and mitochondrial function. The role of CSB in neural development is poorly understood. Here we report that the abundance of neural progenitors is normal in Csb(-/-) mice and the frequency of apoptotic cells in the neurogenic niche of the adult subependymal zone is similar in Csb(-/-) and wild type mice. Both embryonic and adult Csb(-/-) neural precursors exhibited defective self-renewal in the neurosphere assay. In Csb(-/-) neural precursors, self-renewal progressively decreased in serially passaged neurospheres. The data also indicate that Csb and the nucleotide excision repair protein Xpa preserve embryonic neural stem cell self-renewal after UV DNA damage. Although Csb(-/-) neural precursors do not exhibit altered neuronal lineage commitment after low-dose UV (1J/m(2)) in vitro, neurons differentiated in vitro from Csb(-/-) neural precursors that had been irradiated with 1J/m(2) UV exhibited defective neurite outgrowth. These findings identify a function for Csb in neural precursors.